Participants: The workshop is open to all professionals in the fields of individual and group psychotherapy and mental health practice, as well as Graduate and Senior Undergraduate Psychology students, interested in Psychodynamic Psychotherapy. A Certificate of Participation from the Deree – School of Graduate & Professional Education will be awarded at the end of the workshop. Deadline for Registration: June 8, 2018. Seats are limited, book your place early! This workshop is organized in two days with four workshop-sessions of 1.5 hours each. We will work interactively, which means we will switch from lectures to material produced by the participants and vice versa. Participants are invited to bring their material from one of the last sessions: please bring video or audiotapes. To understand transference and countertransference well we will use object-relational theory. This psychoanalytic theory was developed during the last century and describes our inner life in terms of conflict between tendencies to approach the other and seek closeness and tendencies to keep distance, to seek autonomy or to protect oneself. These tendencies are supposed to consist of ‘dyads’, inner representations of ‘self’ and ‘other’ and the associated feelings. The more complex the post-traumatic stress disorder, the more often trauma (within the family constellation) is accompanied by forms of neglect and insecure attachment. So not only need the post traumatic or dissociative symptoms to be addressed in treatment, but also the affect dysregulation and identity problems. Therapeutic alliance is considered as of major importance. But how to get an alliance with patients who are highly distrustful? How to relate with someone who does not want to be with you? To understand the strong transferences and countertransference Transference Focused Psychotherapy (TFP) will be introduced, an evidence based psychodynamic psychotherapy developed for the treatment of patients with a ‘borderline personality organization’ (BPO). In BPO splitting is the major defensive style, resulting in ‘identity diffusion’, the chronic alteration in mood and in subjective relations towards self and other people. The training aims at the development in the trainees of (1) the theoretical knowledge and insight, (2) the skills and (3) the attitude, necessary for the practicing of TFP or for handling strong (counter) transference. TFP is a specialized form of psychoanalytic psychotherapy. In it the relationship between therapist and patient is the most important means to bring about structural changes in the patients’ personality organization. 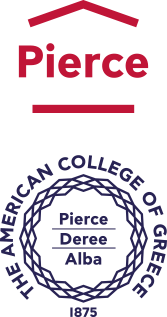 This event is hosted by the School of Graduate and Professional Education of the American College of Greece. For specific questions about the content of the workshop please e-mail Nikolaos Takis, PhD, Professor of Psychology and director of the Counseling Center of the American College of Greece, PhD on [email protected]. 10:00-11:30 Introduction: Why TFP when there is severe trauma? Systematic review of its effectiveness. 11:45-13:15 ‘All corners of the room’ (Dutch expression for being beaten, abused): General introduction on the problems of transference and countertransference while working with severe trauma. 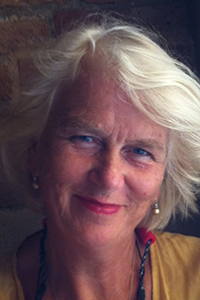 Nel Draijer is a clinical psychologist, psychotherapist and psychoanalyst. She worked for 25 years as an Associate Professor at the Department of Psychiatry at VU Medical Centre, Amsterdam. She is a certified TFP trainer and supervisor. Nel is the president of the Dutch Psychotherapy Association, vice-president of the ISTFP, and member of the board of ‘TFP Netherands’. She is a registered supervisor and training-psychotherapist for the Dutch Society of Psychoanalytic Psychotherapy, the Dutch psychotherapy Association and the Dutch Society of Psychiatry.